Thirteen new professions have been identified by the national human resources authority this week, according to a news release issued on Wednesday. The list was jointly issued by the Ministry of Human Resources and Social Security, State Administration for Market Regulation and National Bureau of Statistics. 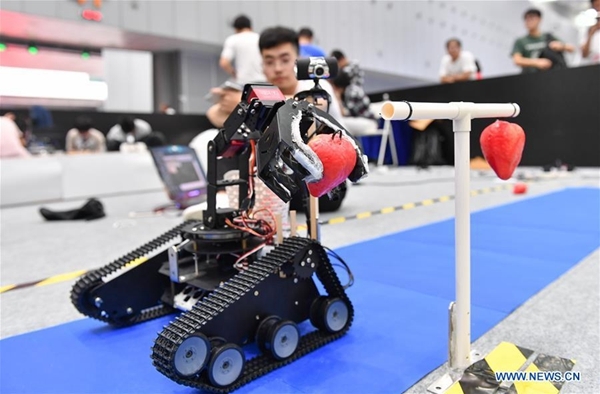 The 13 new professions are mainly in areas of high technology, including artificial intelligence, internet of things and big data, and drone navigation and e-sports, which require more knowledge and superior skills. According to the Ministry of Human Resources and Social Security, the emergence of these new professions owes to rapid development of high-tech industries, which actually grow into new engines for the nation’s economic development. Industry restructuring also helps generate these new jobs where automatic production is required rather than manual operation, the ministry said. For example, drone technology allows workers to finish difficult or dangerous missions, such as high voltage line supervision and mapping.